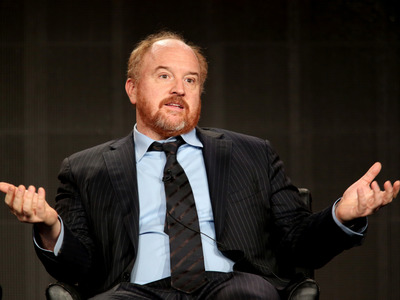 Frederick M. Brown/Getty ImagesComedian Louis C.K. Despite getting into some recent trouble for comparing Republican presidential candidate Donald Trump to Hitler, Louis C.K. said he is still compelled to share his feelings on this year’s election. When the comedian was asked to describe his feelings for Democratic presidential candidates Hillary Clinton and Bernie Sanders, he acknowledged that Sanders “jars something loose in our system and something exciting happens.” But in the end, he believes that Clinton’s experience would get more things done. But even if there’s no other reason to appreciate C.K.’s take on this year’s election, his use of a very insightful analogy about flying planes in this interview would be enough.